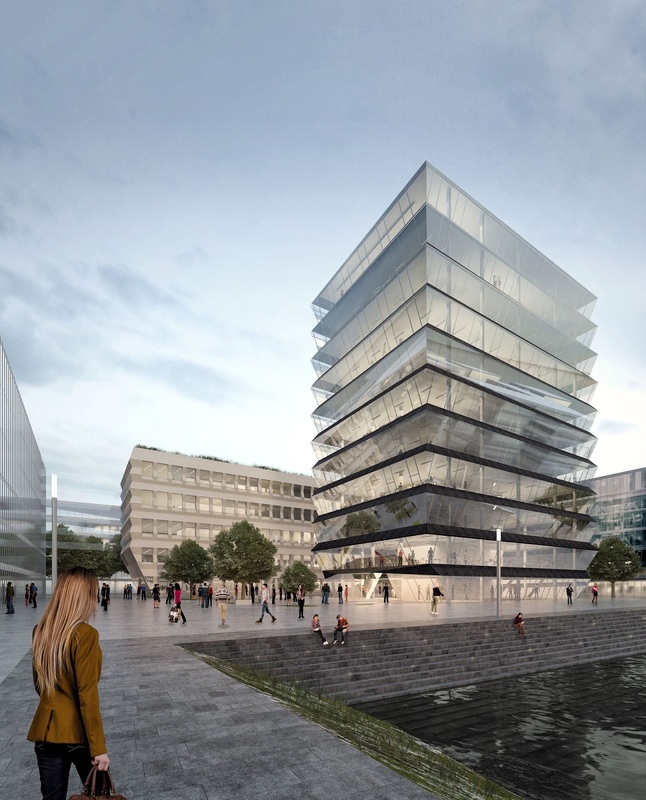 Mvrdv And Moreplatz Has Won The “Hafenspitze” Competition In Mainz, Germany. Just like many European harbour areas, Mainz’ Zollhafen is undergoing a transformation from industrial to city quarter. Located northeast of Mainz’ Neustadt on the west bank of the river Rhine, the former shipping container harbour will make way for an urban mix of living, working and leisure facilities in the coming years; one of the city’s most important regenerations projects of the last decades. 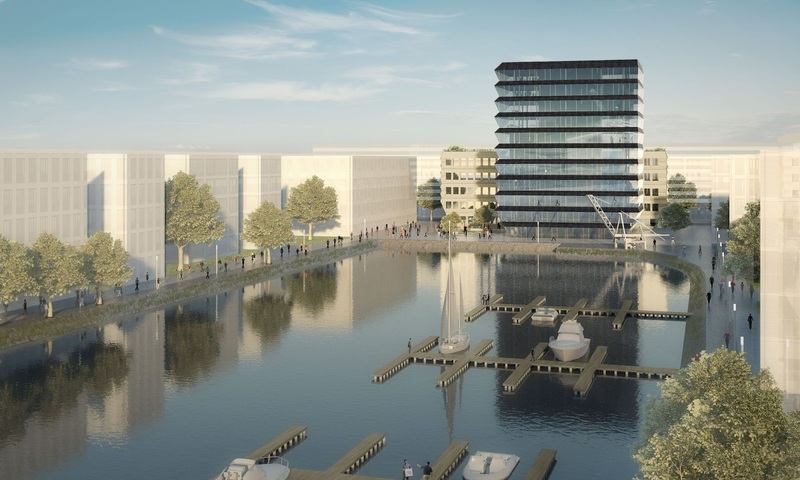 Situated at the far northern end of the harbour basin, “Hafenspitze” will be realised as the pioneer project of this large scale transformation overlooking the new development around the water. 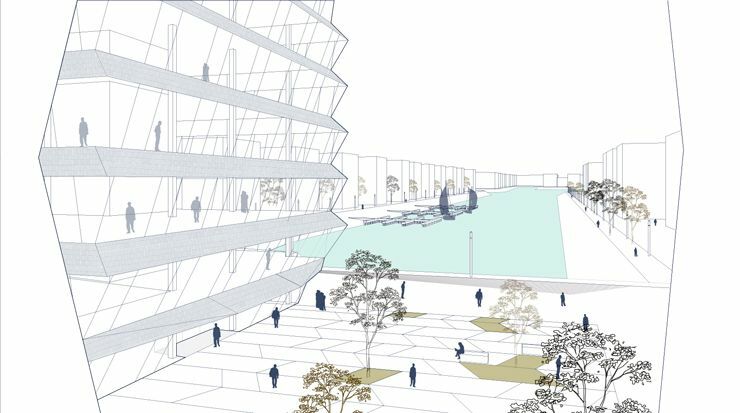 The winning design proposed to adjust the masterplan resulting in two distinct volumes which form an ensemble with a total surface of 12,000 m² with a public plaza at its centre. An eleven-storey high-rise office tower creates a landmark at the waterfront, while an elongated block over five storeys with a roof garden closes the plaza at the street side. Both buildings feature a similar façade concept and a tapered plinth for access and views to the street and the harbour, yet distinguish themselves through their specific materialisation and appearance. The high-rise tower is designed with an open and transparent character with fully glazed facades on its four sides and angled windows for maximum views. 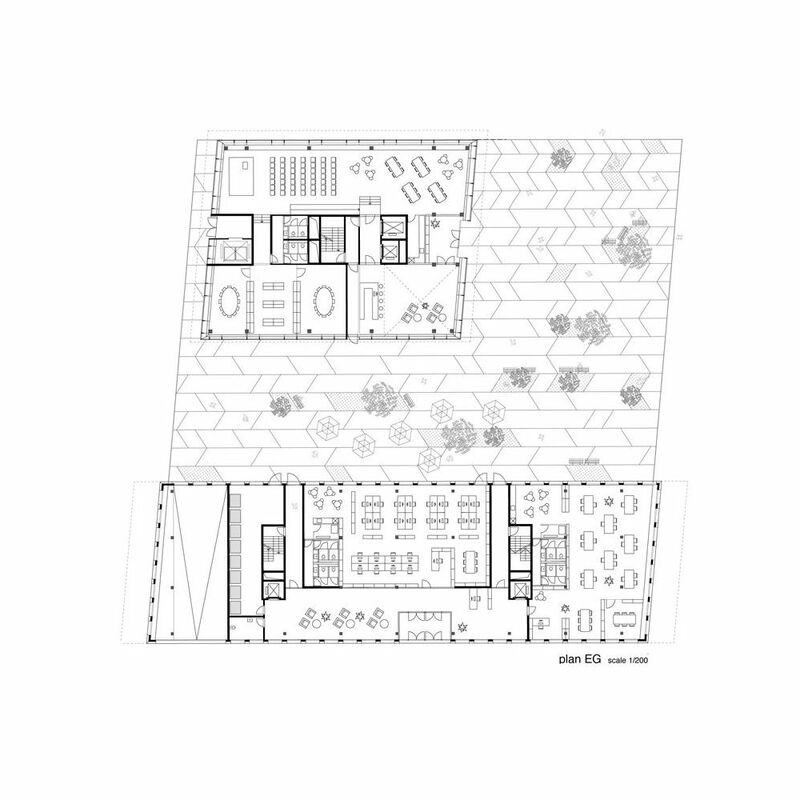 The floors are visually separated by dark horizontal bands clad in slate shingles which refer to the local architectural roof style. The lower block is wrapped in a ‘rough skin’ of folded, prefab concrete panels creating a 3D visual effect which refer to the local Rustika stones. 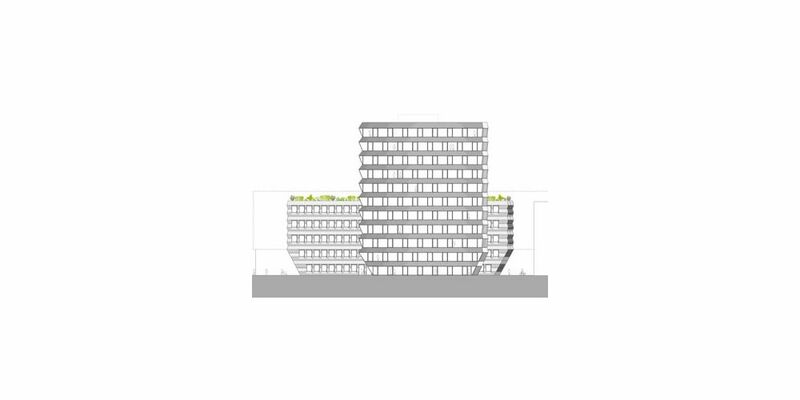 MVRDV and morePlatz won the competition from a total of seven design teams including Munich based offices Auer + Weber and yes architecture, and Gewers Pudewill from Berlin.